Amélé Dupré’s life is turned upside down the day she finds a heart-shaped seed inside an apple. Through her tender loving care, a sprout emerges from the seed and changes into a sapling that, over time, grows into a sturdy tree—a slightly finicky one, perhaps, but one that is endowed with extraordinary powers. 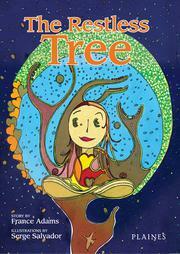 As the days and years go by, a story of deep friendship develops between Amélé and her beloved tree. Together in their imaginary world, they encounter many strange adventures, always filled with love, tolerance and loyalty.